Impossible people. We all have them in our lives and in various forms. 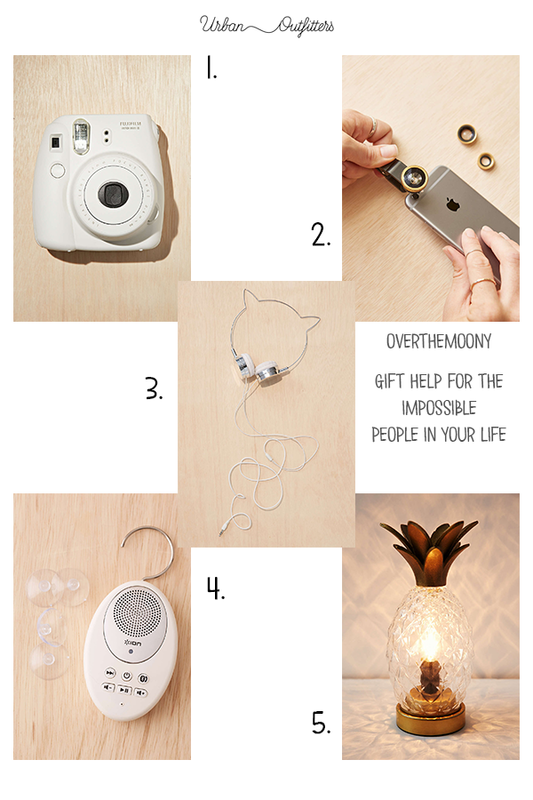 To me, the most bothersome impossible people are those people who you can't figure out gifts for. I love giving people gifts and it is beyond vexing when I can't figure out what to buy someone. For me, those people are my Dad and my brother. My Dad is crazy picky about things (if there is an outside tag on a shirt, even if he likes the shirt, he won't keep it), and my brother, while he has interests, also seems to only ever ask for books I've never heard of. And not fun books, either. He's a lawyer and loves to learn more about different cases and history so they're all non-fiction tomes that I never would even know existed had they not been on his Christmas list. Coupled with my love of getting people gifts, I also, especially around the holidays, love even more to get people gifts in advance so that all of my gift buying is done before December even starts. I like to spend my holidays doing fun things, not battling crowds in stores. So what do you do when people are impossible to buy for? Where do you go? Well, hopefully I can help you out a little bit with some website suggestions for fun and creative gifts that can suit everyone. 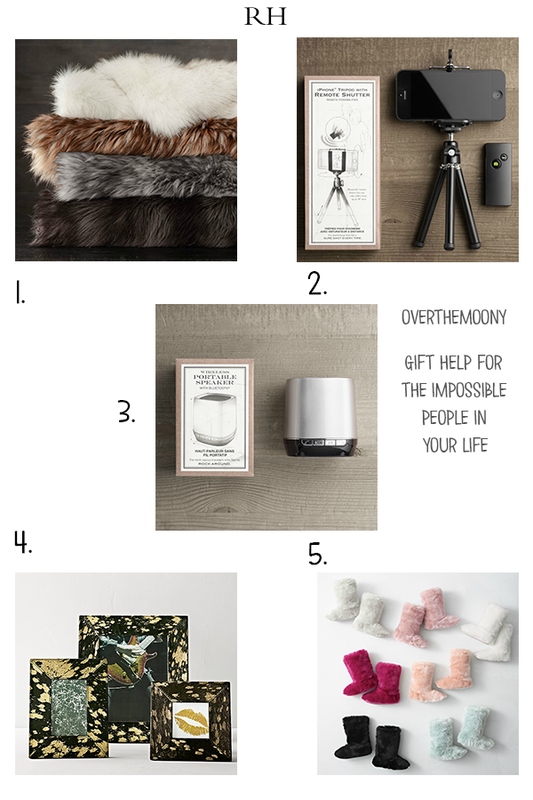 Obviously I don't know all of your impossible giftees, but these are some of the websites that I go to that really have fun things for anyone in your life. I highlighted some of the gifts that I've come across that I think are pretty neat, but they don't even begin to scratch the surface of the things on these sites. I've only recently started getting into Pottery Barn. Maybe it's the fact that I'm almost 30 which means I'm almost "officially" an adult, and I feel like this is the quintessential adult store. Although, to be completely honest, what roped me in was the Star Wars collection that they have on the Pottery Barn Kids store. They have some crazy adorable things on that site, but I think the Potter Barn Teen site is my favorite of the three. 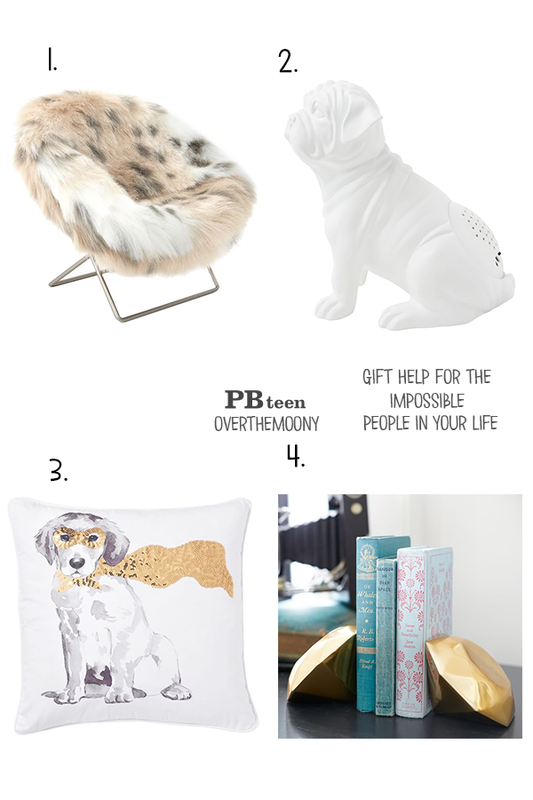 I don't think my style is sophisticated enough for the real Pottery Barn site, but if your impossible person has more expensive taste, take a look through that site. If not, browse the Teen site. As you can see above, they have a lot of adorable things that are sure to please, including some fun tech accessories. Speaking of expensive taste, Restoration Hardware can definitely get a little pricey but, they also have some neat things that aren't too expensive. Their collection of faux fur items is probably my favorite on the market and I have been dying to get my hands on one of their blankets. They also have a lot of fun items in their "stocking stuffer" category that include phone accessories, games and neat gadgets. 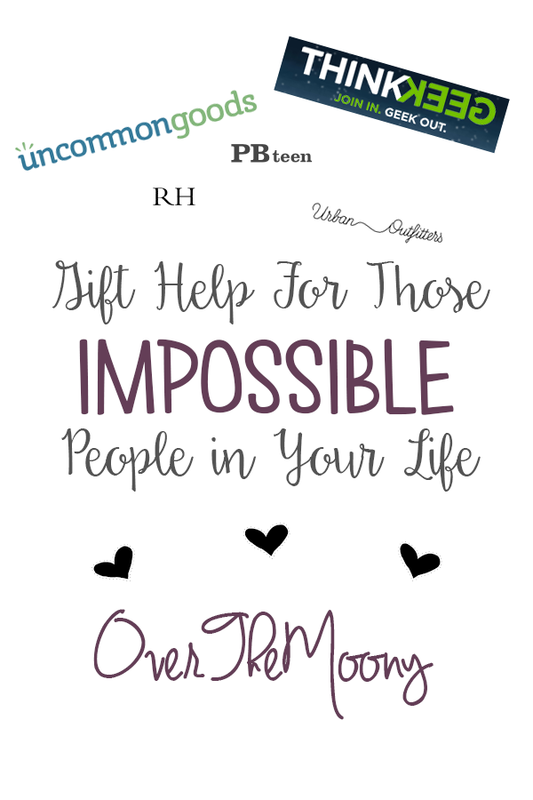 Like Pottery Barn, there is a Teen and Kids site to explore if you need some extra ideas. 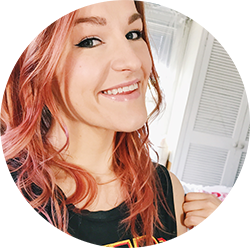 ThinkGeek is one of my favorite online retailers to begin with since they have all sorts of fun comic book and fandom merchandise, but I think this is fun for people who aren't into that type of geeky stuff as well. Number 1 and Number 2 are great for those always cold people in your life (hello to my fellow coldies) since they are a warming pillow and warming slippers respectively. Those are great winter gifts and they have a couple different varieties of each to cater to everyone! 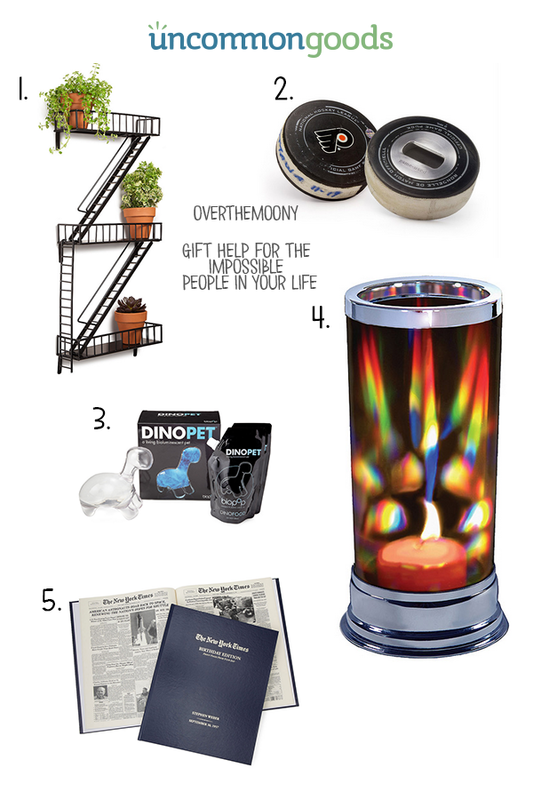 Number 4 is actually a French Press mug, which is great for the coffee enthusiasts in your life. And you really need to go watch the video for Number 5. The light is absolutely stunning! Uncommon Goods is a website I came across last year when I was having this same problem and I love this site. There are so many things here that you won't see anywhere else and I truly believe you can find something for anybody. If one of your impossible people is a sports fan, there are tons of really cool sports things you can get, like a hockey stick coat rack, baseball bat rocking chairs and a golf club BBQ set. There are neat literary scarves for the bookworm in your life, super cool garden sculptures for your green thumb, and tons of cocktail accessories that are good for most anyone. When I used to think of Urban Outfitters I would think of overpriced graphic t-shirts and hipster pants. Now, however, this is one of my favorite places to go for gifts, especially their home gifts. They have a lot of cute decorations, but they also have a lot of great tech accessories too. And of course, they have all sorts of clothing options if you want to lean that way. There's all sorts of bases covered with this website! I really hope that these suggestions help you. We all know the frustrations of trying to buy gifts for people who are impossible to buy for so at least this gives you some direction. 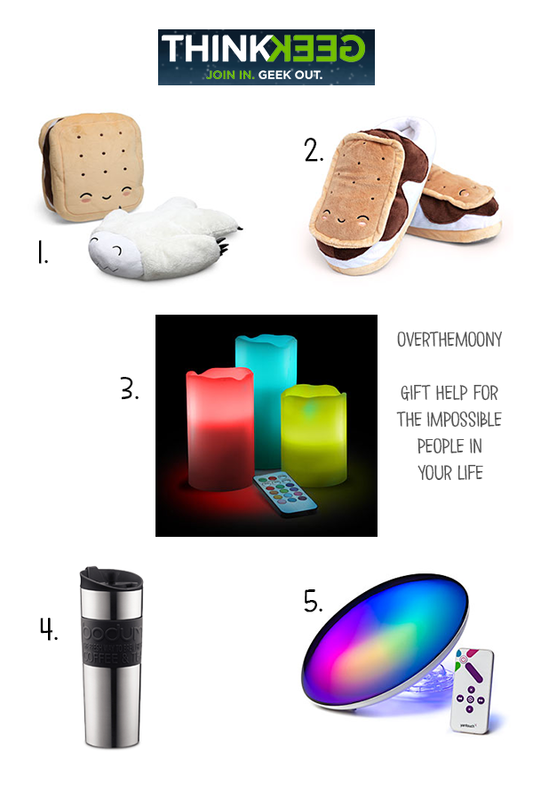 Who are the impossible people to buy gifts for in your life? Are there any other websites you love to go to for those people? Let us all know in the comments below so we can help each other out!